Whether you’re moving into a new area or your needs have changed, you may be looking for a new dental professional to care for you and your family. Rather than pick one in haste when you have an emergency, most experts advise people to take their time seeking a professional. Use these tips to find someone to provide dental care. If you have dental coverage through your insurance company, call them when you need to find a new dentist. They can send you a list of providers that accept the insurance coverage that is available in your area. Start with that list and examine the credentials of the dentists in which you’re interested. Check where they went to school, how many years of experience they have, and whether they have any complaints filed against them. You should be able to find most of the information about each dentist online. To make it easier to get to dental appointments, choose a dentist with an office that is close to your home or close to work. If you have several from which to choose, find out their hours and pick someone that can schedule appointments during the hours you have available. Also, find out if they are available after normal business hours and on weekends in the case of an emergency. If you have children that are active in sports, then you never know when you may need dental care for a chipped tooth. Look for a dentist that offers that types of services your family needs. If you have small children, then you may need a pediatric dentist, as well as one that treats adults. For kids that play sports, you might want to consider a dentist that can custom-make mouth guards for them. If you’re from Durham, North Carolina, and are looking for state-of-the-art dental care, you may want to check out the Digital Dentist at Southpoint. Finding dentistry for the family is important because an experienced pediatric dentist can catch problems before they become difficult to treat. If you don’t see a service that you want, then ask about it to make sure you find a dentist that offers it. When you’ve narrowed down the search to a couple of dentists, ask your friends, co-workers, or family members in the area if they are familiar with them. If so, ask about wait times, chair side manner, and what you can expect when you go there for an appointment. Any information that you can get before showing up in a new dentist’s office can get you started on the right foot, especially if you are a nervous dental patient. Also, feel free to ask the staff questions to establish a relationship with them. Before scheduling an appointment for dental care, schedule one to get to know the dentist. It is a good way to find out if you are comfortable asking him or her questions. Also, it can help you find out if you feel like your questions are taken seriously by the way they answer them. It’s important to feel comfortable talking to your dentist, so you can explain symptoms and problems and feel like he or she is taking them seriously. Also, if you have a question about a procedure, such as the benefits of sedation dentistry, you will feel that it’s okay to ask it. Choosing a dentist isn’t difficult, but it is important to find one that offers the services you and your family need to keep your teeth and mouth healthy. I agree that you should check with your insurance company before choosing a dentist. You want to make sure the dentist will take your insurance. You also want to find out as much information as you can about the dentist, like you said. I liked how you said that it is good to see if you are comfortable asking a prospective dentist any personal questions. My wife has been complaining about pain in her mouth. It may be good for us to find a dentist for her to visit. My family is on the lookout for a new dentist, and your article had some great tips regarding this. I liked how you said to choose an office that is close to our home or work so its easier to make it to appointments. Thanks; we’ll keep this in mind when choosing a great dentist. I liked your tip about asking other’s opinions when looking for a new dentist. I am currently looking for a new dentist office to go to. I will definitely keep your tips in mind during my search for a new dentist. Thanks for the tip to ask about the services offered. This is helpful since I think I have a cavity that I need to be fixed. I’ll have to call around and make sure I find a dentist that can take care of it for me. Thanks for the tip to choose a dentist that’s pretty close to our home or work to make getting to appointments easier. My husband and I moved to a new area recently and still need to choose a new dentist. The tip you shared to consider location should help us narrow down our options! Thanks for the tip to talk to a dentist to see if you feel comfortable asking them questions relating to dental health. Having never been to the dentist before, even as a child, I am pretty self-conscious about my teeth. 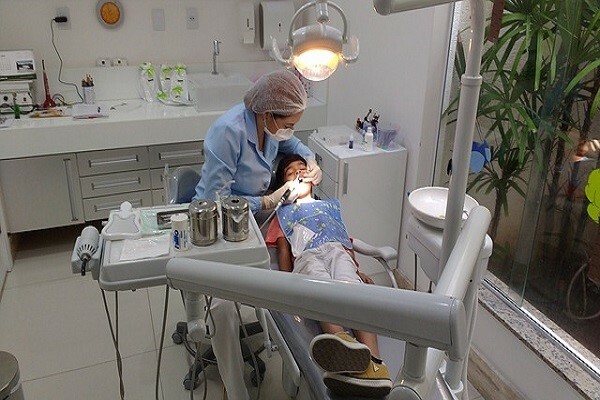 Going to the dentist is going to be a big step for me, so I want to be able to find a dentist that I will be comfortable with. Your recommendation to a dentist that offers the services you want would be important. Their website could provide you with information on the dental treatments the offer. This could give you the opportunity to narrow down the options before you visit the dental offices you’re considering. Thanks for the tips for hiring a good dentist. I love how you said that it’s good to find one that is close to our home or my work. We just moved, so it shouldn’t be too hard to find an office like that. 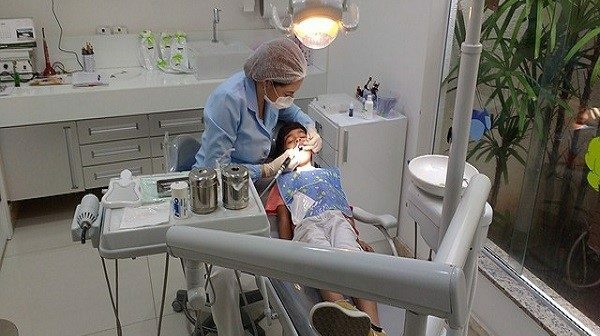 Before choosing any dentist for dental treatments, it is quite necessary to get knowledge about the dentist and their services. Reading reviews online can help a lot. Also, one can gather knowledge from other sources too. Thanks!